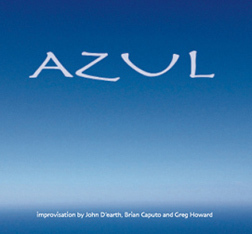 AZUL is trio of musicians who specialize in spontaneous composition. 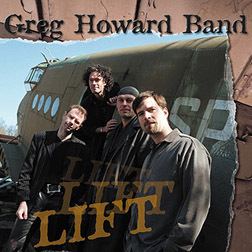 Greg is joined by two great improvising musicians, Brian Caputo on drums and trumpeter John D'earth. 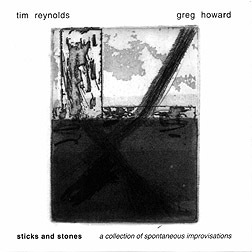 They recorded these live improvisations in the studio in Charlottesville in May, 2013. 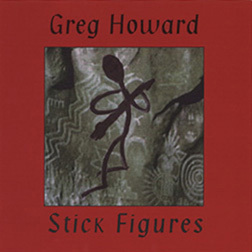 Greg's landmark solo CD. These 12 tracks helped define the solo Stick sound. Includes "Charmed Life", "Big Meadows" "Blue Ridge" and many other great tunes. or buy direct at the greghoward.com online shop. 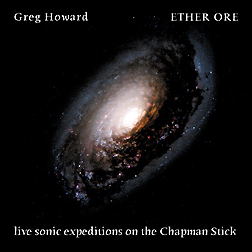 Ether Ore 2005 live CD with bonus DVD - Greg explores the sonic universe on these live improvised pieces. 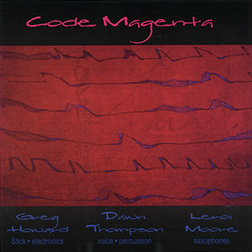 Everything from spacey soundscapes to high-energy improv grooves. Includes a bonus-minute DVD of Dan Chapman's film of Greg's performance of "Big Bang 4965" at the San Jose Stick concert in 2003. 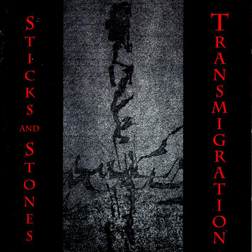 All-original progressive rock and improvisation. Featuring Jan Wolfkamp on drums, Hubert Heeringa on sax, violin and EWI, and Jan van Olffen on bass, with guest Louis Gerrits on sax. Recorded at Studio Geikerk in The Netherlands. 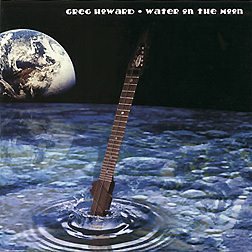 Water on the Moon 1998 live CD - Greg's one-hour non-stop live improvised "Stick concerto". 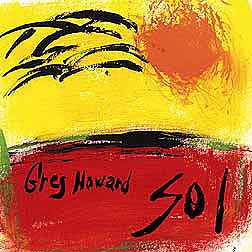 Greg recorded this in 1998 at Miller's in Charlottesville. This is a truly unique sonic expedition, but with a strong suite-like framework (don't let the word improvisation scare you...). 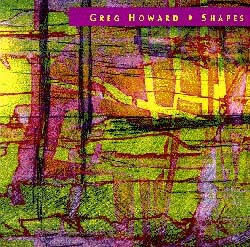 "Imagine Michael Hedges, Tony Levin, Stanley Jordan, Victor Wooten, Michael Brook, Jon Durant, Pat Metheny and Jeff Beck trading licks...Amazing effort and a hands-down winner." Tim plays: guitar, sitar, violin, mandolin, percussion Greg plays: Stick, alto sax, synths, drum machine, prepared flute, percussion.